Bridget moved to Florida bringing her radio experience and knowledge of the arts, Ms Norvell has created avenues to promote and excite a community to make positive changes. Bridget is or has been a co host on several different radio broadcasts: 1190AM with the show Back to Reality, 1140AM guest host on The 411, Internet TV show Keep it Reel TV and The Marian Edwards show. Currently you can tune in M-F from 12-1pm to listen to Ms. Norvell on 1680 WOKB Radio on The (Marina) Marian Edwards Show. You can also register to receive weekly updates such as Get The 411 Email Blast (which provides information of upcoming events in the local area) or the monthly, Thought of the Day devotional (which provides a word of encouragement to get you through those tough times). Tirelessly, Bridget Norvell is constantly evolving and adding to the program structure of TNMA with the hope to better meet the needs of this community. 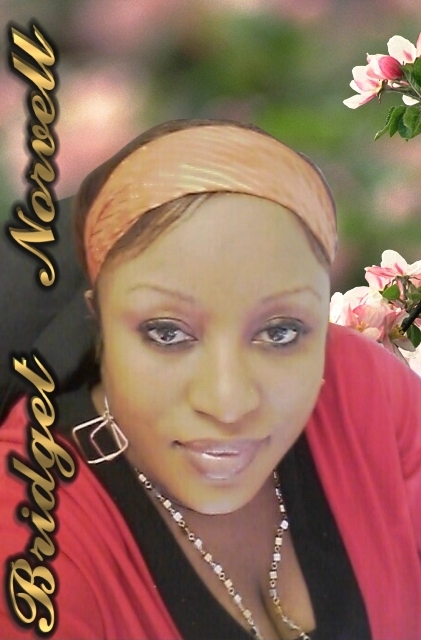 She is a wife, mother, minister of dance, motivational speaker, and executive director of TNMA.